Compact. Adjustable Focus. High Output. 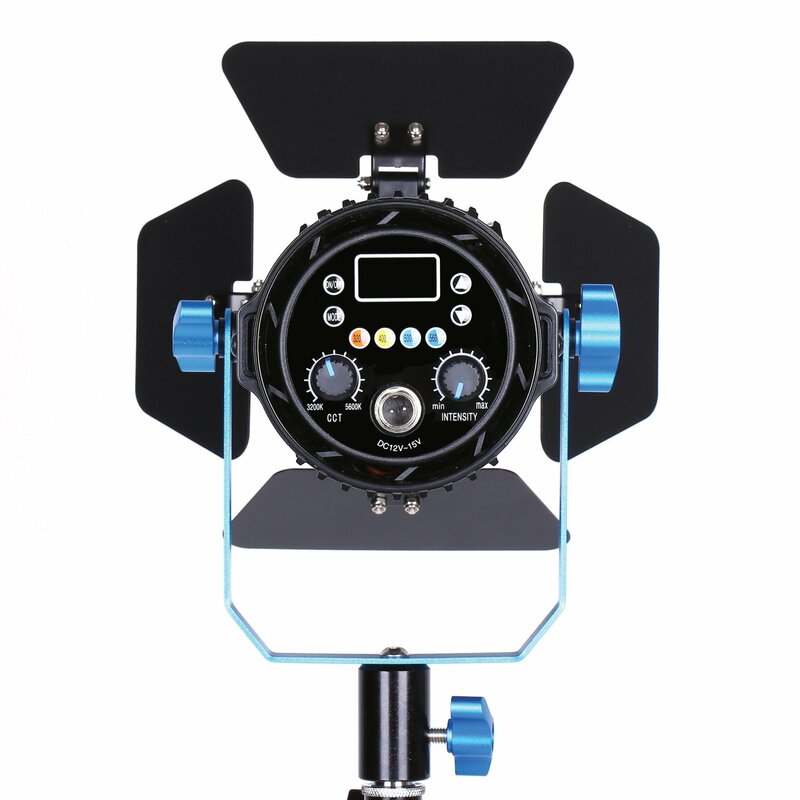 The Boltray LED600 Plus is a versatile fixture with AC and battery options. Its included 4-way barndoors help you to further shape the beam, lighting areas that you want to and keeping light from areas that you don’t. With its 5600K color balance, the light is an easy choice for shooting outdoors or for integrating seamlessly with other daylight fixtures such as HMIs. The light metal and plastic construction backed with a U-shaped yoke make it easy to mount in difficult places. The Boltray LED600 dims from 0-100%. Dracast uses PWM (pulse-width modulation) coupled with a single Chip-on-Board (COB) LED to make possible this wide dimming range with high color fidelity (CRI 96) without flicker. The light features high output with low 60W power draw and runs barely warm to the touch thanks to a virtually silent fan. Besides the barndoors and yoke, the light comes with a diffusion filter, soft nylon carrying case and a multi-voltage AC power adapter that allows you to use it anywhere in the world. It will also run on optional batteries when mains power is unavailable, thanks to its dual NP-F battery plates.